In a sternly worded letter dated 18 February 2016, the Biotechnology Innovation Organization (BIO), the National Association of Manufacturers (NAM), the National Foreign Trade Council (NFTC), the Pharmaceutical Research and Manufacturers of America (PhRMA), the U.S. Chamber of Commerce (the Chamber) and the United States Council for International Business (USCIB) wrote Senator Orrin Hatch (Republican – Utah) expressing serious reservations with the United Nations High-Level Panel on Access to Medicines (UN HLP). The letter by these six industry organizations represent a large range of interests including the following companies: Abbvie, British American Tobacco, Campbell Soup, Chevron, Coca Cola, Deloitte & Touche, eBay, Eli Lilly, Ernst & Young, Exxon Mobil, Ford, General Electric, Gilead Sciences, Glaxo SmithKline (GSK), Google, Intel, Johnson & Johnson, Microsoft, Northrop Grumman, Novartis, Pfizer, Procter & Gamble Company, Qualcomm, Roche, Sanofi, Toyota Motor Sales, Verizon and Walmart. approach to safeguard innovation at multilateral institutions” waxing lyrically about the successful outcome of the final UNFCCC text which contained no references to intellectual property. There is a positive precedent for such an approach: recent coordination among the U.S. Department of State, Office of the U.S. Trade Representative (USTR) and the U.S. Department of Commerce at the December 2015 UN Framework Convention on Climate Change (UNFCCC) negotiations in Paris. In Paris, technical and IP experts from different parts of the Administration worked together to secure a final UNFCCC text that does not mention IP and thus removes uncertainty that could have discouraged continued investments by U.S. companies in clean technology. 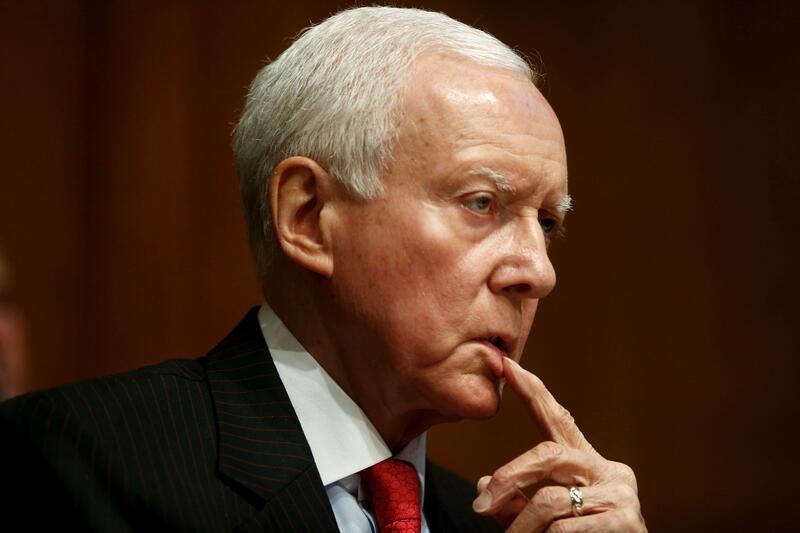 Senator Orrin Hatch (Republican- Utah), President pro tempore of the United States Senate and Chair of the Senate Finance Committee. Effective inter-agency approach to safeguard innovation at multilateral institutions? We are concerned, however, that the UNHLP process will not provide for an informed, balanced, and inclusive dialogue that adequately incorporates the perspectives of innovators. Concerns have already arisen from the lack of transparency regarding the selection of the panel members and experts, the limited scope of inquiry that specifically excludes the broader context needed to understand the complex issues impacting the development and deployment of health-related technologies, and the tight timeline for the Panel’s work that allows little room for stakeholder engagement. Based on the lack of balance evident in the background and views of Panel and advisory group members, and as well as the lack of important context about the value of intellectual property in the Panel’s supporting documents, it is unfortunately likely that the result of this process, while perhaps well-intentioned, will be ill-informed. As a policy response to the UN HLP, these US trade associations propose replicating the assiduous, inter-agency, full court press the United States government pursued, in tandem with big business, in the run-up to the Paris Climate Change Conference in November 2015. Presumably, in the context of the UN HLP, PhRMA and BIO aim to coordinate closely with the U.S. Department of State, the Office of the United States Trade Representative (USTR), the U.S. Patent and Trademark Office (USPTO), the White House and the Department of Health and Human Services (DHHS). U.S. leadership will be essential to managing diverse initiatives across the UN system, such as the UNHLP, to ensure that they do not undermine innovation. All relevant U.S. government agencies must be aligned in such efforts, and the U.S. delegation must be appropriately staffed with officials from the agencies with IP expertise. This formula was essential to the positive outcome in the UNFCCC negotiations in Paris, and it should be retained as we tackle ongoing discussions that impact technology and healthcare innovation in the United Nations. In light of this letter to Senator Hatch, one wonders if these trade associations have also expressed similar concerns to the Obama administration? The companies exult in the outcome of the Paris Agreement which expunged references to intellectual property. Following on the heels of the Paris Climate Change Conference in November 2015, it is clear that interests as diverse as British American Tobacco, General Electric, Pfizer and Walmart seek to cripple the HLP’s quest to “remedy the policy incoherence between the justifiable rights of inventors, international human rights law, trade rules and public health in the context of health technologies” in a bid to maintain the status quo. Notes for the talk at Fordham on TPP/TTIP.